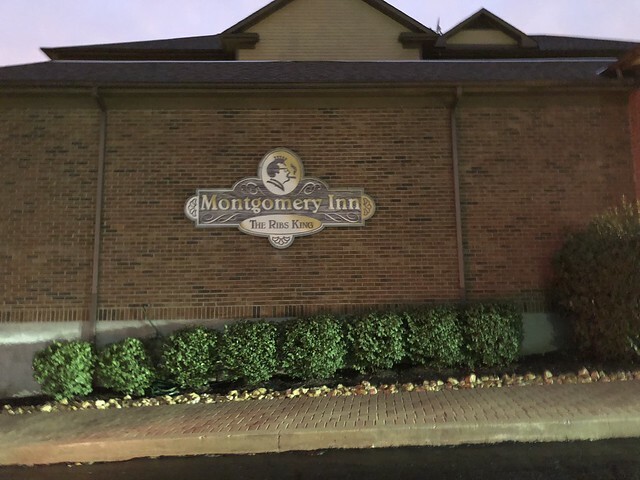 Montgomery Inn is an Ohio tradition known for its ribs - bibs and all! A short story about our long history... 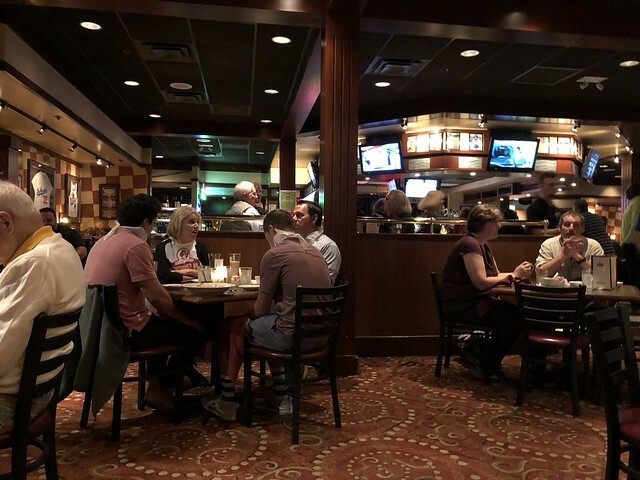 In 1951 Ted and Matula Gregory opened the original restaurant in the very underdeveloped area of Montgomery, Ohio. It was really just a place for Ted and his friends to gather, but Matula’s incredible cooking skills could not be ignored. 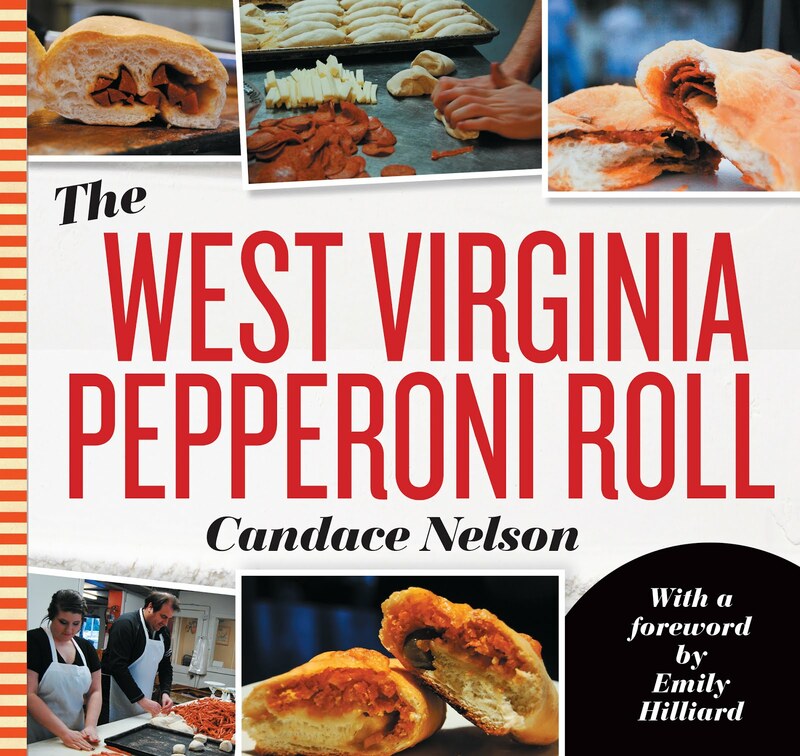 One night she decided to make ribs, and people went nuts for them. Soon a local critic dubbed Ted the “Ribs King,” and the legend was secured. 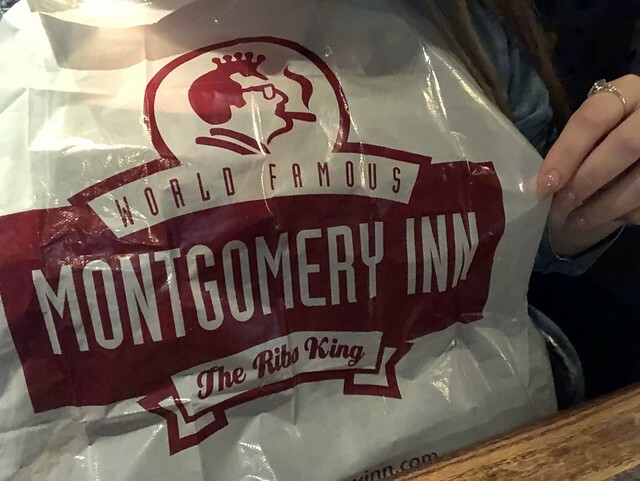 As the town of Montgomery blossomed, word of these incredible ribs spread fast—so much so that the Inn became “THE PLACE” for any celebrity passing though town, a tradition that lives on to this day. 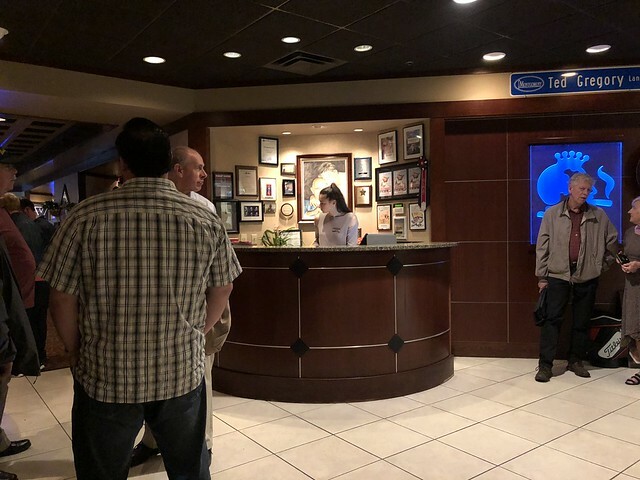 If you can’t visit the restaurant, we can bring the restaurant to you. We offer a full line of catering services that makes every celebration a success. 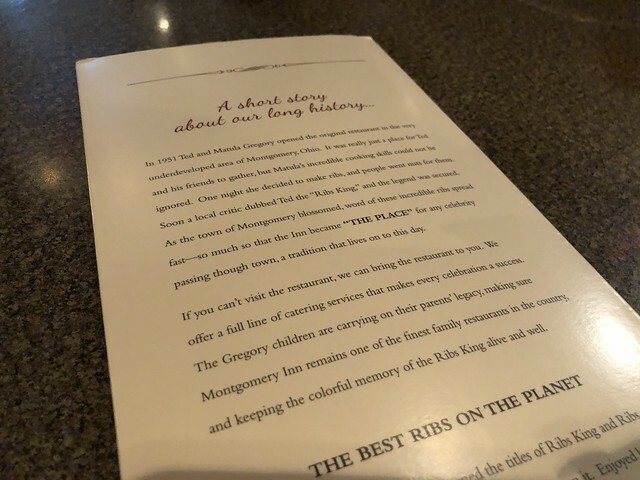 The Gregory children are carrying on their parents’ legacy, making sure Montgomery Inn remains one of the finest family restaurants in the country, and keeping the colorful memory of the Ribs King alive and well. After a very lengthy wait, and the subsequent discovery they overlooked our reservation, we were finally seated. 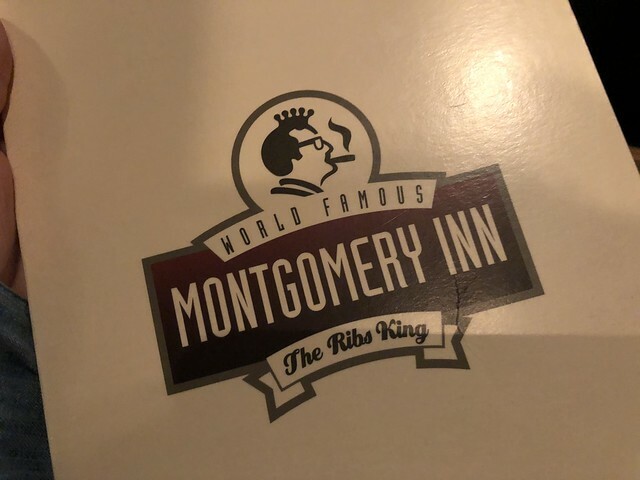 THE BEST RIBS ON THE PLANET: Ted and Matula Gregory truly earned the titles of Ribs King and Ribs Queen. When we say our ribs are famous, we mean it. Enjoyed by actors, athletes, and every U.S. President since Gerald Ford, they’re hand-spiced and slow-roasted daily, then finished off on our custom broiler. 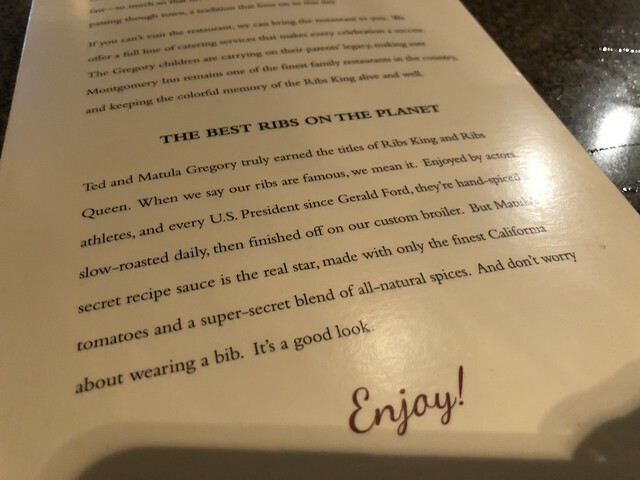 But Matula’s secret recipe sauce is the real star, made with only the finest California tomatoes and a super-secret blend of all-natural spices. And don’t worry about wearing a bib. It’s a good look. 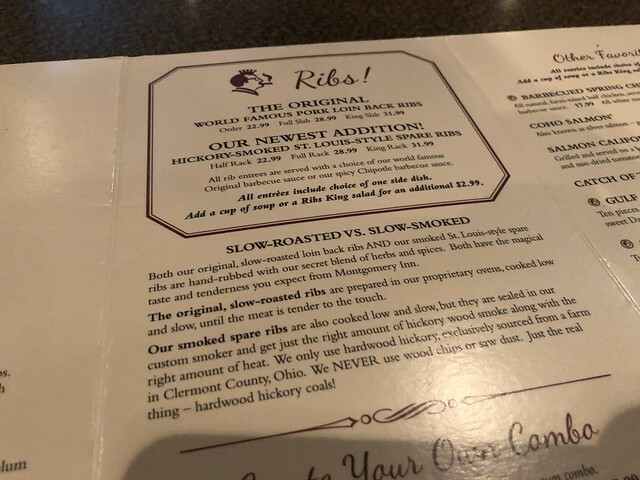 After all the talk of the ribs, I didn't have much of a choice: I had to try them. 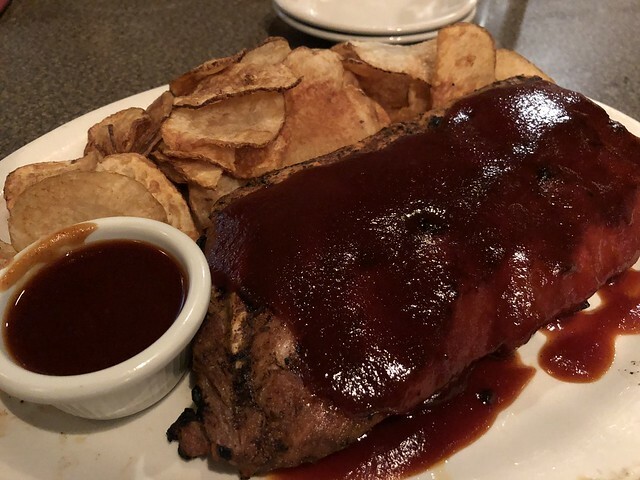 I went with an order of the "THE ORIGINAL WORLD FAMOUS PORK LOIN BACK RIBS" and a side of Saratoga Chips. 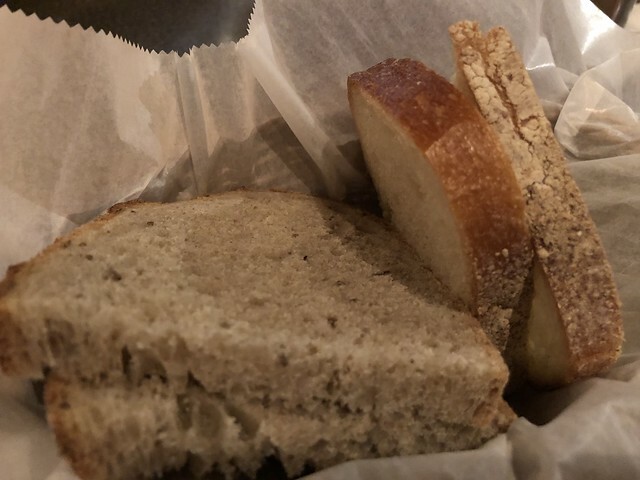 First, we were served some bread. And, I was served a bib to prep for the oncoming mess. The ribs were very good. I am not a ribs connoisseur - but I loved the sauce, and the meat was so tender. These were delish, and I'd be happy with a full rack next time! The tour will make you able to have the joy of the different types of things. This will give you the chance to make your tour as special as you think. This will make you able to have the joy of the things which you had never seen before.